A graceful, cold tolerant bamboo with slender, cascading culms with thick sprays of fine long, light green leaves on multiple branch clusters. 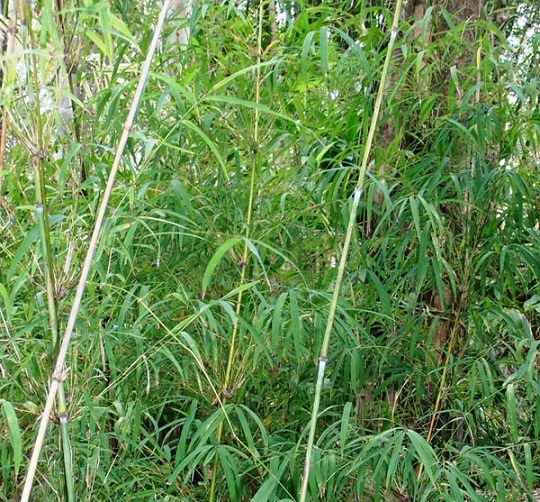 Himalayan Weeping Bamboo loves a damp, shaded position away from full day sun. Perfect for growing in a pot or in a sheltered position such as a courtyard or small outdoor area, especially in cooler Hills’ gardens. 2-3 metres.